Michael Jordan is now a billionaire. In February, my colleague and the Dean of athlete earnings, Kurt Badenhausen, pegged Jordan’s annual earnings at $90 million and his net worth at $750 million. But I have learned from sources familiar with the Charlotte Hornets that the former NBA great has increased his stake in his basketball team to 89.5% from 80% during the past several months. Jordan first became an investor in the Hornets (then the Bobcats) in 2006 and became the controlling owner in 2010 when he bought out Robert Johnson for $175 million. In January we valued the Hornets at $410 million. But the Milwaukee Bucks sold for $550 million in May, and they are considered the least valuable team in the league because of their market and arena. Sports bankers say the Hornets care presently worth between $600 million and $625 million. 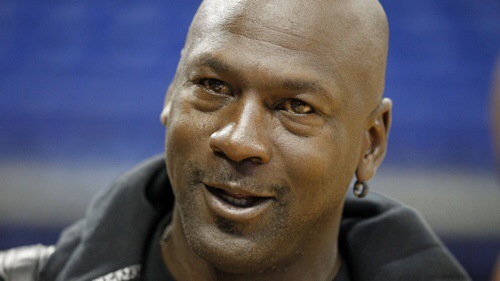 Our net worth figure for Jordan uses the $600 million figure. The Hornets have $135 million of debt, which makes Jordan’s equity in the team worth $416 million. After subtracting all the cash Jordan has invested in the team, we estimate his net worth outside of the Hornets to be $600 million, giving him a net worth of a $1 billion (Kurt and I discuss Jordan in video below). Yea, I just assumed he was a millionaire already, too, the way the hood be trippin off them J’s.